Athletes need a foundation. This is a performance program for beginners that builds that foundation on bedrock. No nonsense, no gimmicks. Just straight up solid coaching to prepare the young athlete for the next step. In coming grades 7-12 athletes. We are a strength and conditioning gym. 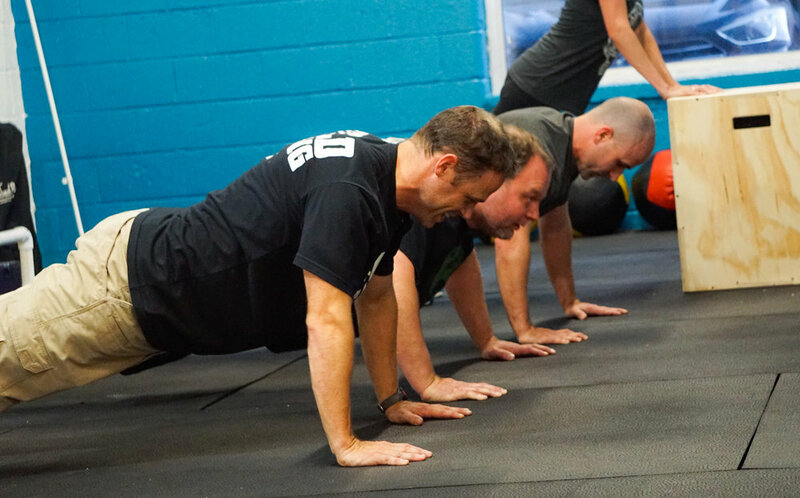 We help our members reach their definition of fitness, whether that's training for a competition, a sport, or just training to play with the grandkids. We set goals and develop workouts and, personalized plans to get you there. We focus on the primal movements. We push, pull, run, and squat using proven coaching techniques. It's not flashy, but it works. It's not a trend. It's the stuff that builds strength. And it will challenge you in new ways every day. But you'll sweat through it all in good company, alongside a community of awesome people and team of knowledgeable coaches and trainers to help you get the most out of your workout. Sound like what you're looking for? Give us a call. Maxmead Fitness GPP classes are recommended for all levels of ability. We focus on proven training methods and time-tested exercises to maximize your results from each one-hour workout . It Looks intimidating, but we promise each member will receive expert coaching every class. -Full Strength: Check here to add some more muscle to build that super-hero physique!